A detective who fired the first shots in the 2006 shooting of an unarmed man on his wedding day says he believes his life was on the line that night and said he has "no regrets." "I'm not looking back, no apologies, no regrets. I came to grips with what I did," Gescard Isnora told News 4 in his first extensive public comments about the shooting of Sean Bell. "I am able to sleep at night. I am here talking to you." Isnora and two other officers were acquitted of criminal charges in a 2008 non-jury trial. Last fall, he was found guilty of violating NYPD guidelines by using unnecessary force, and was fired two weeks ago by Police Commissioner Ray Kelly. Isnora was the first of the NYPD officers who opened fire Nov. 25, 2006, firing 11 shots. In the 50-bullet barrage, Bell was killed and two of his friends, Joseph Guzman and Trent Benefield, were wounded. 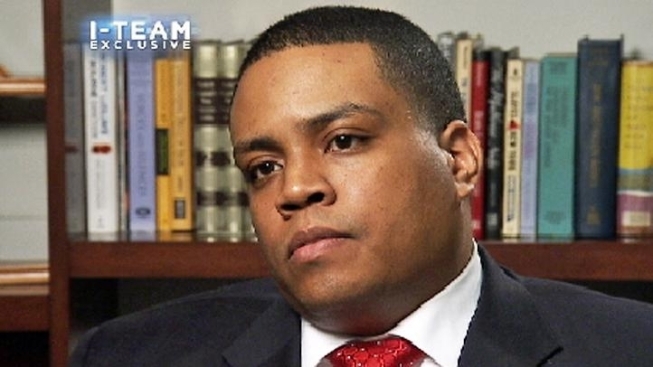 After News 4 New York's exclusive interview with Gescard Isnora, the detective who fired first the night Sean Bell died in a hail of 50 bullets, others react to what Isnora had to say, including the Rev. Al Sharpton, a spokesman for the Bell family and MSNBC talk show host. Jonathan Dienst continues this two-part exclusive. No weapon was found, sparking accusations and months of protests that the NYPD was too quick to use deadly force. At Isnora's disciplinary trial in October, attorney Adam Sheldon described Isnora's actions as "outrageous, unimaginable and unjustified." But Isnora, speaking to News 4, blamed the actions of the men leaving Bell’s bachelor party at Club Kalua in Queens that night. Isnora, who was at the club on an undercover operation, said he heard threats of gun violence outside the club after the men got into a confrontation with a man named Fabio Coicou. “Joseph Guzman said, 'Go get my gun,'" said Isnora. "And there was another individual that said ‘Let’s 'f' 'em up." Isnora said he called for backup and followed the men as they rushed to their car. But the other officers did not arrive in time and Isnora said he felt he had to act. Isnora said he pulled out his shield and his gun and ordered the car to stop. But Bell drove the car right at him, Isnora said, hitting his leg. Bell then ran the vehicle back and forth several more times, according to Isnora. “What people don't understand is, a vehicle is a weapon as well. He used that vehicle. He basically wanted to run me over," he said. Seconds later, fearing Guzman was reaching and raising a weapon, Isnora said, he opened fire. In grand jury testimony, Guzman denied saying anything about a gun outside the club; other witnesses also testified that the dispute with Coicou ended peacefully. Guzman and Benefield testified that they never heard the officers yell warnings before opening fire and tried to drive away because they feared for their lives. Isnora maintains he resorted to deadly force only after Bell bumped him with the car and smashed into an unmarked police van, and after he spotted Guzman make a sudden move as though he were going for a gun. “I’m still looking into the car. I noticed Guzman making an arm movement," Isnora told News 4. "I yelled ‘gun’ very, very instinctively and fired my weapon." Isnora fired 11 times into the car at Guzman just as the backup team arrived. Fellow officers would fire 39 times. “What is the right amount? What is not the right amount? In a heated situation, you are not counting bullets,” Isnora said. When asked whether firing a total of 50 shots was excessive, Isnora said: “People making those comments do not know the job that undercovers do. It was just survival at that time and moment, and the decision they took left me with no other choice." Isnora said he didn't learn until two days later in the press that the men in the car did not have a gun. “It’s easy in hindsight, it's easy to say what could have been done, but right then and there, every step I took was correct," said Isnora. Bell and Guzman "set the events in motion," he added. Kelly fired Isnora last month, saying he broke NYPD rules by emerging from his undercover role before backup arrived and by firing into a vehicle filled with unarmed men. The city also paid more than $7 million to the Bell family and to Guzman and Benefield. His pension was also revoked. Detectives Michael Oliver and Marc Cooper were forced out but allowed to keep their pensions, a move that did not sit well with members of the Bell family. "It's a slap on the wrist," said Bell's father, William Bell. "They're going to get another job, their life is going to go on and mine's just stuck." Rev. Al Sharpton, a spokesman for the Bell family and an MSNBC commentator, told News 4 that Isnora and the other officers still owe the Bell family an apology. Isnora said he is angry and feels betrayed the police commissioner and mayor. He said the police officers in the Amadou Diallo case and other controversial police shootings did not have their pensions taken away. Sharpton said Isnora's life was never in danger the night Sean Bell died and that city leaders acted appropriately. "He says the community and the mayor and everybody shouldn't rush to judgment," said Sharpton. "He should admit to himself maybe they shouldn't have rushed to judgment that night." An NYPD spokesman declined to comment on Isnora's remarks to News 4 New York. Isnora grew up in Bushwick, the son of a Haitian immigrant who drove MTA buses for a living. His mother came to the U.S. from Mexico and worked child-care related jobs. Joining the NYPD was a proud day, and Isnora said he just wanted to help make the streets safer for children.